Gingersnaps In The Morning: New Blog Launch! Terrific Tuesday to you all, my little gingersnaps. No I don't have a regular blog post for you today, but I do have terrific news. Jamie and I are almost ready to launch our brand new Natural Products Review blog. So whether you like Natural Products (like Jamie) or don't care about chemicals in your products (like me), check us out. Now is your chance to become one of our affiliates! We're looking for other bloggers to join our blogroll and to add us to yours. Just email me at dazzleginger@gmail.com if you're interested and we'll get connected. We don't care what kind of blogger you are, as long as you have a blog. 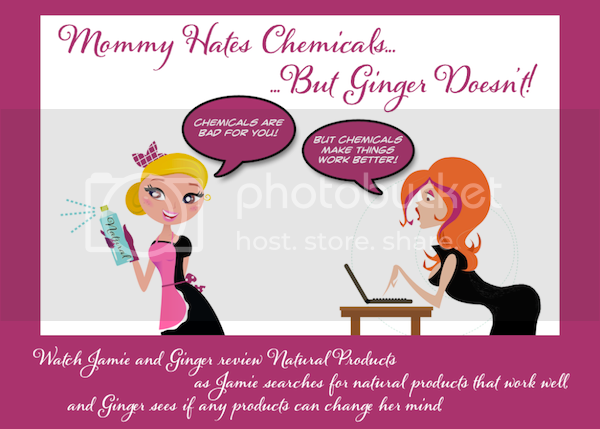 And if you want to read our stories and see where Jamie and I are coming from, check out our site at Mommy Hates Chemicals. Last but not least, if you have a Natural Product you'd like us to review, email us! This is AMAZING! "Mommy" Seems so together. I'm definitely going to take her advice with these products. And by her illustration she seems really hot, too.